A rumor that Microsoft is going to buy Nook Media from Barnes & Noble for $1 billion may turn out to be just a rumor. If you believe the latest rumor. Last Thursday, TeleCrunch cited "internal documents" for its story about the purchase, which caused B&N stock to jump 24.3%, to $22.08. Yesterday, however, Insider Monkey said "a highly placed source inside Microsoft" wrote on Friday: "I literally just walked out of the meeting today discussing all this Microsoft/Nook hoopla going on. This deal was nothing more than a rumor. Microsoft Corporation will not come out and deny or confirm for legal reasons, but the company has no intention of acquiring the Nook unit. Nook is closely integrated with Android (hence their recent Google Play feature) and there is no way it could be ported to Windows 8. This was simply something TechCrunch rushed to report with no fact-checking." As a result, yesterday B&N stock fell 9.5% to $21.10. The German union Verdi has called a strike today at two Amazon facilities in Germany--in Leipzig and Bad Hersfeld--that is expected to last from 6 a.m. until "the end of the late shift," according to Reuters. Early this morning, Verdi said that so far a total of 900 workers are participating in the strike. Last month, workers at the two warehouses voted overwhelmingly to authorize Verdi to strike. In Leipzig, where Verdi says Amazon has about 2,000 employees, the union is seeking starting hourly pay of 10.66 euros (about US$13.81), compared to 9.30 euros ($12.05) now. In Bad Hersfeld, with about 3,300 employees, they seek 12.18 euros ($15.80) instead of 9.83 euros ($12.74). The union also wants larger supplements for night shifts. 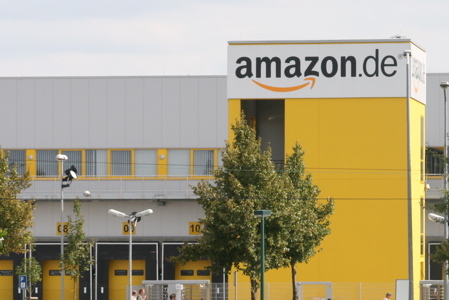 Verdi wants to negotiate a collective bargaining agreement, but Amazon has said that while it is willing to talk with the union, it won't negotiate, adding that workers' earnings are "already at the upper end of what logistics companies pay in Germany." Total retail sales in March rose 1.9%, to $427.8 billion, compared to the same period a year ago. For the year to date, total retail sales have risen 2.9%, to $1,189.9 billion. The Writers' Union of Canada will ask members to vote on its policy of not admitting self-published authors at the end of this month at TWUC's annual general meeting in Ottawa. The CBC reported that during the past year, "an ad hoc membership committee has been gathering feedback from chapters across the country on whether the organization should revoke its long-standing policy." "I think it's been bubbling under the surface for a few years," said John Degen, TWUC's executive director. "There are a lot of young writers who are sold on the idea of having that level of control over their careers, which has nothing to do with their success in traditional publishing. For older members, it's a question of what they're going to do next, how to maximize their options." 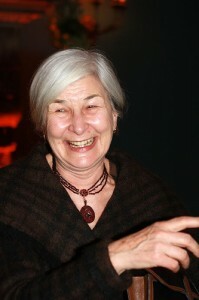 Drenka Willen is the first recipient of the James H. Ottaway Jr. Award for the Promotion of International Literature, which is named in honor of the first chair of Words Without Borders and recognizes "an individual whose work and activism has supported the mission of Words Without Borders of promoting cultural understanding through the publication and promotion of international literature." The award will be presented at Words Without Borders' 10th anniversary gala on October 29. Willen joined Harcourt as a translator and freelance editor in the 1960s and has been "a tireless advocate for literature in translation for close to 50 years," Words Without Borders said. Among the authors and translators she has worked with are Nobel laureates Günter Grass, Octavio Paz, José Saramago and Wisława Szymborska, as well as Italo Calvino, Umberto Eco, Stanisław Lem, Ryszard Kapuściński, Amos Oz, A.B. Yehoshua, William Weaver, Edith Grossman, Margaret Jull Costa, Krishna Winston, Clare Cavanagh and Geoffrey Brock. "I am thrilled that Drenka has been chosen as the first recipient of the Ottaway," said Alane Salierno Mason, founder of Words Without Borders and v-p and executive editor at Norton. "I was fortunate to work in Drenka's ambit at Harcourt Brace Jovanovich early in my career, and to some degree it was a sense of homesickness for the world she fostered that led me to start Words Without Borders." At Owning a Bookstore: The Business Essentials, the recent workshop retreat offered by the Bookstore Training Group of Paz & Associates, held on Amelia Island, Fla., 18 attendees from four countries, some with bookselling experience and others new to retail, spent a week developing competitive advantages and sound business plans. 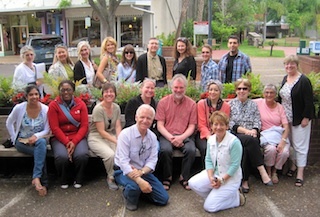 Veteran booksellers, a lease negotiator and SBA lender, book industry professionals and retail field trips all contributed to a rich learning experience. In the back (from l.): Emily Richeson, Amy Andersen, Stephanie Hochschild, Caroline Cameron, Mary Morgan, Cedric Richeson, Lisa Poole, Josh Stevens, Safa Hijazeen (Jordan). Seated: Esther Dairiam, Rosemary Adomokai (Nigeria), Melissa DeMotte, Linda Foulsham, Phil Lewis, Shaikha Al-Hashem (Kuwait), Pat Kinney, Kendra Peterson, Susie Alexander. Front: Mark Kaufman and Donna Paz Kaufman from Paz & Associates. Swag carefully. Each ounce of free galleys and gewgaws will double in weight hourly. If you need to understand the science behind this, please watch an episode of Doctor Who. The single most important decision you will make in advance of the show is your footwear. No matter how cute or dapper the shoes are, leave them at home if you can't stand, walk or cartwheel in them for 10 hours straight. When, after an hour, your feet are killing you because cute won out over reason, find the largest publishers and vendors. They pay for extra carpet padding that offers momentary relief from the world's hardest cement (aka, the floors of the Javits Center). The holy trinity of publishing is ink, paper and booze. The first two may have gone virtual, but the last can still be found trickling from various booths. Look for the sponsored happy hours and free wine. It is sanctioned drinking on the job. It will also make your feet feel better. 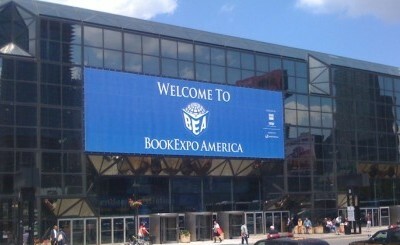 Each BEA there will be a supremely absurd moment--look for it. It may be a Chihuahua wrapped in a child's blanket, Ice-T and Coco signing their new book or Dr. Ruth sitting on your boss's lap. The free alcohol will make it even better. If given the opportunity, meet your idols and gush like the village idiot. Some of them are still people and like to be reminded why their publicists dragged them to New York. Bring your business cards to the bathroom. The lines can get long, and people get oddly conversational when they are about to go. Lines for the men's room tend to be shorter, but if, as a woman, you choose to use them, skip the business card advice. You can tell how long people have been going to BEA two ways: 1) they still call it ABA and 2) they spend the whole of the show hugging people. Don't be a jerk. People will remember how you made them feel. This goes for everyone--from the vaguely dubbed industry professionals to the novice author-publishers. No matter what the announcements say, the show is over when you hear the tape guns begin to rip. If you are working the show, this is a choir of angels. Bonus tips: When you book your hotel room, make sure the square footage is measured horizontally and not vertically. Office supplies and Band-Aids are accepted forms of currency. Fiona Brown has joined the Little, Brown publicity department as a senior publicist. She formerly worked in publicity at Penguin's Riverhead Trade Group and earlier worked in publicity at Scribner. She began her career in publishing as an editorial assistant at Wiley. River of Dust: A Novel by Virginia Pye (Unbridled Books). This morning on CBS This Morning: Rip Esselstyn, author of My Beef with Meat: The Healthiest Argument for Eating a Plant-Strong Diet--Plus 140 New Engine 2 Recipes (Grand Central, $25, 9781455509362). This morning on MSNBC's Morning Joe: Olympia Snowe, author of Fighting for Common Ground: How We Can Fix the Stalemate in Congress (Weinstein, $26, 9781602862173). Tomorrow she'll be on Kilmeade & Friends and the Daily Show. This morning on the Today Show: Dan Brown, author of Inferno: A Novel (Doubleday, $29.95, 9780385537858). Tomorrow morning on CBS This Morning: John Gray and Barbara Annis, authors of Work with Me: The 8 Blind Spots Between Men and Women in Business (Palgrave Macmillan, $27, 9780230341906). Also on CBS This Morning: Donald Rumsfeld, author of Rumsfeld's Rules: Leadership Lessons in Business, Politics, War, and Life (Broadside, $27.99, 9780062272850). Tomorrow on NPR's Diane Rehm Show: Qais Akbar Omar, author of A Fort of Nine Towers: An Afghan Family Story (Farrar, Straus & Giroux, $27, 9780374157647). Tomorrow on the 700 Club: Phil Robertson, co-author of Happy, Happy, Happy: My Life and Legacy as the Duck Commander (Howard, $24.99, 9781476726090). Tomorrow on Katie: Judge Judy Sheindlin, author of What Would Judy Say? : A Grown-Up Guide to Living Together with Benefits (CreateSpace, $12.95, 9781483931678). The first trailer has been released for James Franco's film adaptation of William Faulkner's As I Lay Dying. Indiewire noted "the first thing that pops out is the gorgeous cinematography of frequent Franco collaborator Christina Voros (she directed kink, which he produced)." Entertainment Weekly interviewed Judy Blume and her son, Lawrence, about Tiger Eyes, the film version of her book that will be released June 7 to select theaters and VOD. Despite her international success as a writer, somehow "it's taken until now for one of Blume's books to be adapted for the big screen," EW noted, adding that Blume co-wrote the screenplay with Lawrence, who also directed, "but getting it to the screen wasn't easy--surprising, given Hollywood's current obsession with all things YA." The path to the big screen became more tangled after a deal with Amber Entertainment fell apart. "We fought for a year to get control of the film," said Lawrence. "Once we did, we thought, 'Surely someone will want this.' " But the film didn't fit Hollywood's template, EW wrote, adding that it "was a movie about real teenagers dealing with real problems: no magic, no thrilling danger, no fangs. It didn't have a big producer backing it, nor was there an A-list star attached. Sure, there was a name on board--Judy Blume--but that wasn't enough on its own." In January, a new distributor, Freestyle, was found for the project. "The fact that we had total artistic control is rare," said Lawrence. "For better or worse, it's our movie." Added Judy: "We were able to do this with really nobody watching. And it looks beautiful." Among winners last night at the Bookseller Industry Awards in London were Publisher of the Year Random House and National Bookseller of the Year Foyles, the second year in a row the bookshop has won, the Bookseller reported. Nominees for the Canadian Booksellers Association's Libris Awards have been announced. The prizes, which are nominated and voted on by members of the Canadian bookselling community, honor the "outstanding achievements made by authors and editors, sales reps and distributors, booksellers and publishers." Winners will be named June 3 in Toronto at the CBA's annual conference. For the first-time, CBA will present two special Lifetime Achievement Awards, one to author Alice Munro and one to Jack Rabinovitch, founder of the Scotiabank Giller Prize. Check out this year's CBA Libris shortlists here. Readers of Jeannette Walls's memoir The Glass Castle will recognize some of the pivotal elements in her debut novel, The Silver Star. Twelve-year-old Bean is a feisty, precocious character reminiscent of Walls's self-portrayal; her older sister, Liz, is a prodigy who voraciously reads the classics and skillfully evades a child kidnapper when she and Bean are traveling. Bean and Liz are adept at taking care of themselves--a skill they've been forced to learn since their mother is largely absent. With aspirations to be a star on par with Joni Mitchell and Bob Dylan, Charlotte Halladay is constantly chasing her dream in Los Angeles, leaving her little time or energy for parenthood. She also has a penchant for choosing boyfriends who will betray her, whom she derisively refers to as "tirekickers." When Charlotte has a nervous breakdown and flees to Los Angeles for an even longer period than usual, Liz and Bean--fearful the police will try to force them into foster care--decide to go to visit their uncle Tinsley in a small town in Virginia. What follows involves the girls' attempts to integrate into an unfamiliar rural community, discover their family past and contend with a trauma that threatens to undermine these efforts. Their well-meaning but unstable mother--who gets some of the novel's best lines--mirrors in some ways Walls's own intellectually rebellious, voluntarily homeless mother. Her voice, along with Bean's, may be the greatest strength of The Silver Star. "Don't be afraid of your dark places," Charlotte advises her children. "If you can shine a light on them, you'll find treasure there." Shelf Talker: The author of The Glass Castle shifts to fiction, with a story of two sisters whose eccentric mother leaves them to fend for themselves.